You hear it all the time, especially now that the hot summer months are with us: Make sure you drink plenty of water! But how much? Do I really need to? And what if I just don’t like plain water? This month, let’s answer a few questions about this often-misunderstood nutrient. What exactly does water do for us? Can’t other drinks do the same thing? Our bodies also get water from the foods we eat and other drinks we consume, but they can also get a handful of other questionable ingredients to go with those things. Sodas – and even fruit/vegetable juices and sport drinks marketed as being healthy – are often packed with added sugars, sodium, preservatives, and artificial flavors and colors that in no way help your health. There is simply no need for added sugars or human-made chemicals in our diets, so regularly drinking water remains the best way to stay hydrated. However, if you don’t like plain water, please see the ideas below on how to add healthy flavors and variety to your drinks. I hear a lot of different things about how much to drink. Just when I’m thirsty? Eight glasses every day? What’s the REAL answer? Like with so many things in life, it depends. The two most common variables are temperature (drink more water in hotter climates) and activity level (more exercise and movement = more water needed). But if you’re looking for a good rule of thumb, drink around 64 ounces (about 8 glasses) of water every day. If you drink enough water, you should also be using the bathroom about 3-4 times throughout the day, and your urine should generally be pale yellow and odorless. Infrequent bathroom breaks, dark-colored urine, or thirst all indicate that your body is calling for more water. Keep in mind that your body also gets much of the water it needs from the foods you eat, especially if they are whole, found-in-nature foods. Most fruits and vegetables are high in water (and so many other good things), while processed foods are very low in water and other vital nutrients. Especially if you don’t drink much water, try and increase the amount of fruits and veggies you eat every day. I don’t really like drinking water. It’s kind of boring/tasteless/etc. What should I do? By far, clean drinking water is what is best for our bodies. It contains no calories, no sugar, and is exactly the liquid all of our cells need to keep us healthy. For starters, then, consider swapping out ONE other drink you normally have for water, or even just adding one glass of water to what you already eat and drink throughout the day. Small efforts can lead to big changes! Infused water: Place a handful of cut fruit (lemons work very well) or spices into a pitcher full of water and let it sit in the refrigerator for several hours. The result? A refreshing drink high in flavor and nutrients. Agua Fresca: Literally means “fresh water” in Spanish, and the many types of Aguas Frescas you can make are exactly that! All it takes is water, a fruit and/or fruit juice of your choice, and perhaps an additional condiment (chia seeds, cinnamon, honey) to make a delicious and nutritious homemade drink. Instead of drinking fruit juice straight out of the carton or bottle, try making a less sugary and possibly more interesting blend by mixing half a glass of juice with half a glass of water. Try a half water/half fruit juice mix for starters, and then adjust the proportions to your taste. You might be surprised at how much you appreciate the lighter sweetness of this mix. Homemade popsicles: Store-bought frozen treats are often high in sugar and all kinds of artificial ingredients, so try making your own variety instead! These can be made using items you likely already have around the house, or you can purchase an inexpensive popsicle mold from any number of retail outlets. Place a unique blend of fruit chunks, juices, water, and/or spices into a small plastic cup, and then cover the cup with a piece of plastic wrap. Make a small hole in the center of the plastic wrap and insert a stick through the opening. Place your creation in the freezer for a few hours and enjoy your popsicle! 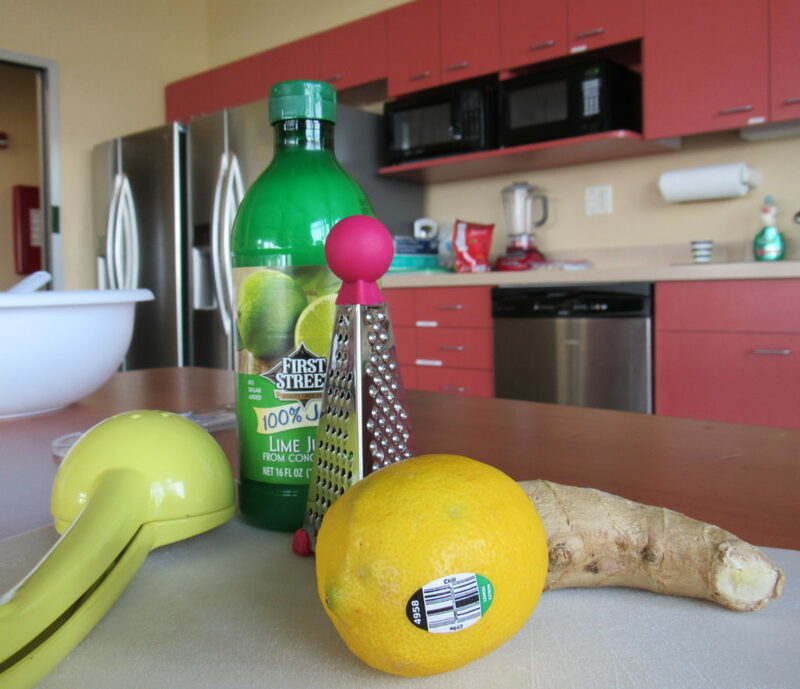 Here is a recipe for a refreshing, nutrient-packed summer drink…our very own Honey-Ginger Lemonade! *Note: This recipe is quite versatile. Feel free to substitute bottled (100% juice) lemon…or even lime…juice for most of the fruit juice. 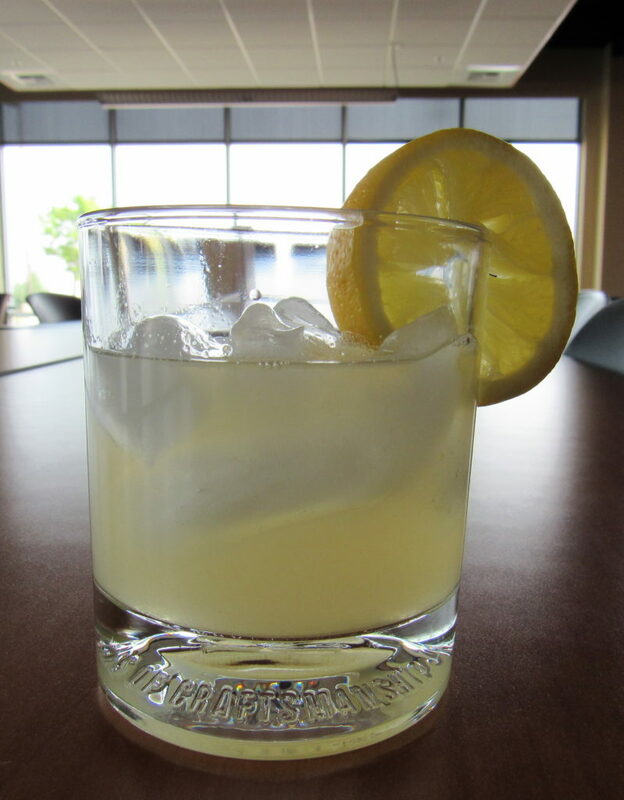 Using at least one lemon will boost the fresh taste of your drink. Mike Escobar is a Bilingual Nutrition Educator for the Food Bank of Northern Nevada. In this capacity, he delivers classes and nutrition tips to local-area families, senior citizens, and Food Bank partner agencies. Over the years, Mike has taught classes related to nutrition, physical fitness, and general wellness to everyone from K-12 students to the elderly. Mike’s deepest passion is to help empower others, and he sees facilitating access to quality foods and nutrition education as one important step in making this happen.